Flash storage memory is a form of electrically erasable programmable read-only memory, or EEPROM; however, it is different than traditional EEPROM because it erases blocks of data rather than deleting one bit at a time. Unlike dynamic RAM (DRAM), standard EEPROM and flash are nonvolatile memory, meaning power is not needed in order to save your enterprise’s data with integrity. As a solid-state storage option, there are no moving mechanical parts involved with flash storage, which reduces power consumption. And, since flash drives have no mechanical limitation for file access, they are able to retrieve information in microseconds, unlike hard disk drives which take milliseconds. Nimble Storage is built around reducing risk, improving reliability, and maximizing the productivity of your infrastructure and IT teams, while also giving your enterprise a competitive edge and making employees’ jobs easier. Nimble's secondary flash array is specifically optimized for the backup/disaster recovery and copy data management use cases. A flash cache provides performance to support recovery and also runs dormant workloads. Nimble's snapshot-based replication allows fast, efficient data movement between Nimble’s all-flash arrays, hybrid flash arrays and secondary flash arrays. This secondary flash array also has a beefed up CPU and DRAM so inline compression and deduplication can be performed without impacting storage latencies. While most hybrid flash arrays in the industry do not do well in deduplication without impacting performance, it is a key component to Nimble’s secondary flash array. Nimble's triple parity plus RAID enables enterprise-class data integrity, no doubt a critical feature when optimizing workloads that have a high degree of data redundancy. You can expect, on average, an 18:1 data reduction ratio when used with Veeam. Further, with this type of storage you have the ability to test and verify backups for peace of mind. Replication enables disaster recovery configurations that leverage not only all-flash arrays, but also hybrid flash arrays, and ultimately public cloud environments. The platform also provides solid integration, with Nimble Cloud Volumes enabling an enterprise-grade multi-cloud storage service with the full feature set of the NimbleOS and a flexible "pay as you go" use model. Nimble’s secondary flash array also brings other key Nimble features with it, such as Timeless Storage and InfoSight cloud based predictive analytics. Through Timeless Storage, all Nimble arrays come with a satisfaction guarantee, all-inclusive software licensing, flat support pricing, no-forklift upgrades, and an option to receive a free faster controller upgrade after three years. InfoSight uses cloud based predictive analytics and machine learning to anticipate and prevent problems before they impact the business. Nimble’s flash storage, specifically its secondary flash array, offers your enterprise the security of storing your important data without the need for power and the ability to retrieve that data in microseconds. It also reduces downtime with the the ability to run production or other workloads at full speed on copies stored on the flash drive. 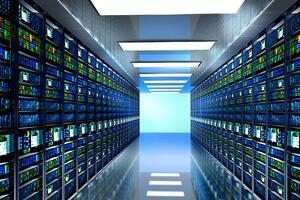 Ready to adopt flash storage? You might want to read through our tech brief, “3 Cautions When using Flash Storage in the Data Center” before you make a purchase. We certainly stand behind the move to flash storage, it’s the future of storage and offers monumental benefits, but our experience has showed that a flash storage decision is not one you make in a snap. One of the biggest mistakes companies make with a storage purchase is that they undersized it. Talk to our storage team about your goals for flash and how you plan to use it; and we can help ensure you make a purchase that supports your needs now, and the future.